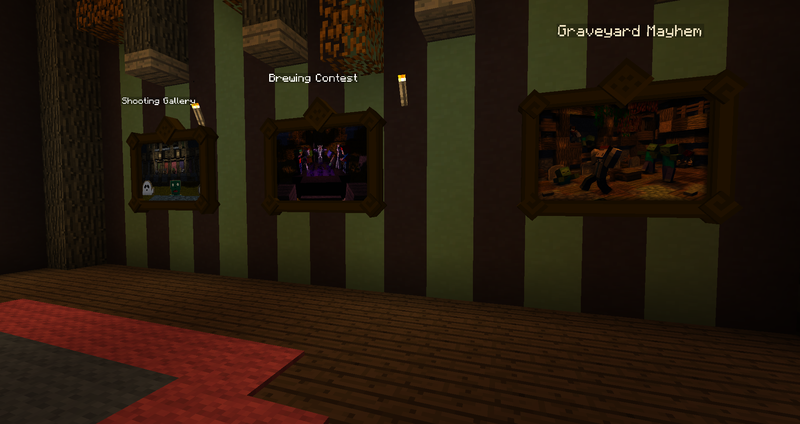 With Halloween just around the corner, we asked community mapmakers if they were working on anything particularly Halloween-ish, and they replied with a resounding, “Yes!” This is the biggest Realms map release so far, with seven total upcoming experiences. Read on to find out more about each map! 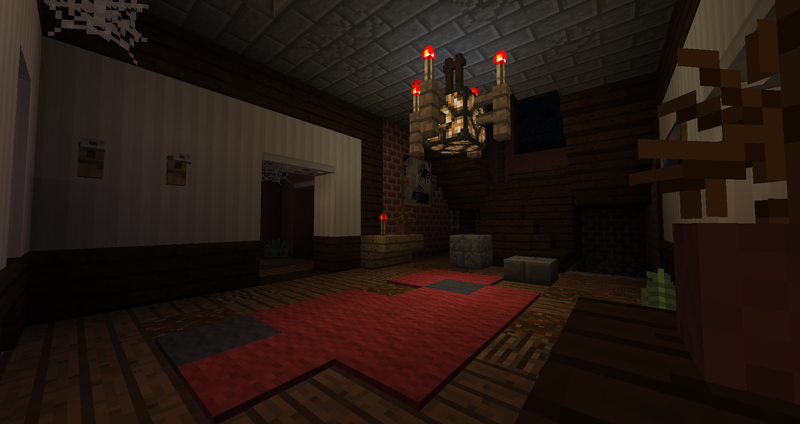 Originally published three years ago, Herobrine’s Mansion was one of the first adventure maps to make extensive use of command blocks. Players face off against the devious Herobrine, but you can only reach him once you defeat his minions. Now, with some updated mechanics and a fresh coat of paint, this faithful recreation of Herobrine’s Mansion is ready for you and your friends! The Dornenstein Estate is simply one of the best-scripted maps we’ve seen so far. While taking a short, spooky journey through this mansion, you’ll need to find several relics to progress. Tricks abound throughout the house as sights, sounds, and freaky experiences make you wonder what is real and what’s not. While we’re winding down on accepting new survival spawns for now (this marks the 30th one! ), Forgotten Hamlet couldn’t be passed up. 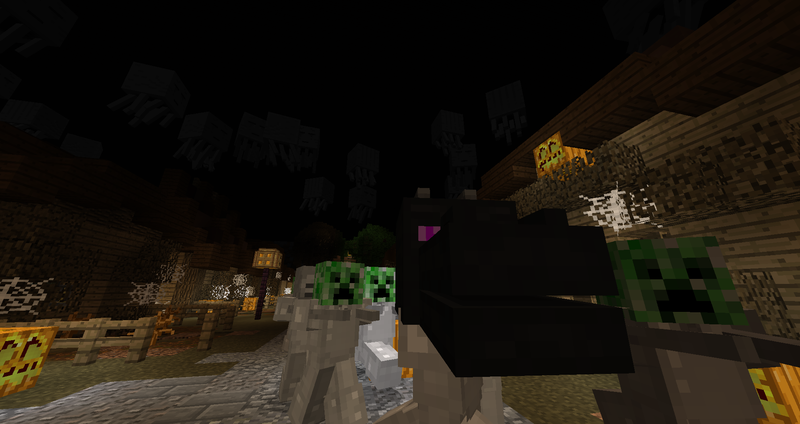 It fit the theme of our Halloween release, was markedly different from other maps on Realms, and it even has a trailer! We like this map a lot and hope that you’ll enjoy it as well. What would Halloween be without some trick-or-treating? This minigame puts you and your costumed friends into a haunted neighborhood, searching for candy. You’ll need to frantically run from house to house, obtaining goodies from villagers, all while dodging others who want to take your loot! Grab your friends and join us at the pumpkin party! There’s no dress code, though costumes are suggested. Try on the wither suit and more! Once you’ve suited up, you’ll cycle randomly through five exciting minigames. Have fun! Some folks know that Moesh has been working behind the scenes with me for a while now, helping to make Realms content bigger and better. For Halloween, he’s created the answer to a question we found ourselves pondering: “Do monsters go trick-or-treating too! ?” Players compete to gather the most candies by descending into the dark depths of their natural cave habitat. Get the most candy, and you win! 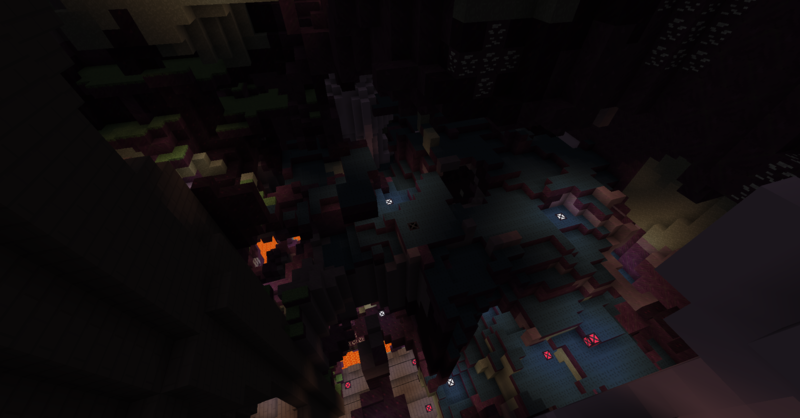 Masterfully making members manage munchies, Moesh’s map is a marvel of monster mechanics. Celebrating Halloween, Monster Kids will be available to you on Monday. 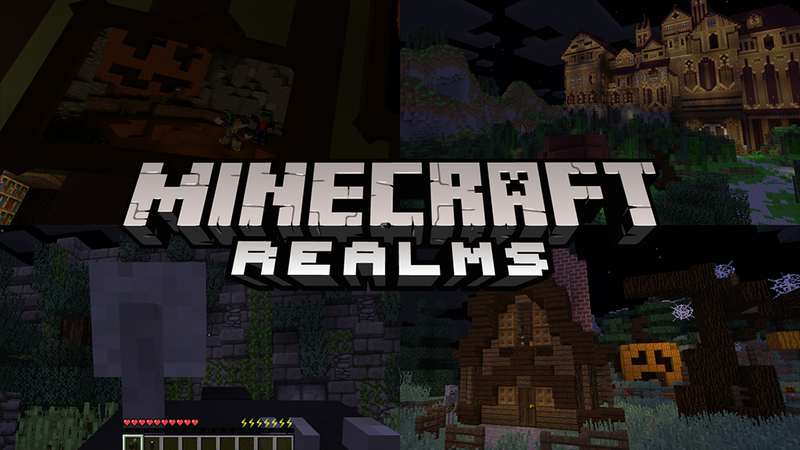 The remaining six maps can be downloaded from Realms for PC right now; just load up Minecraft, click on Realms, and reset a world slot to one of these new experiences. If you or a friend don’t already have a Realm, you can find out more at minecraft.net/realms. If you enjoy these maps, take a moment to let the creators or myself know; we’d love to hear from you.